Recent development activity below the 395 access ramp into Baltimore City is changing tailgating routines for fans of the Baltimore Ravens. 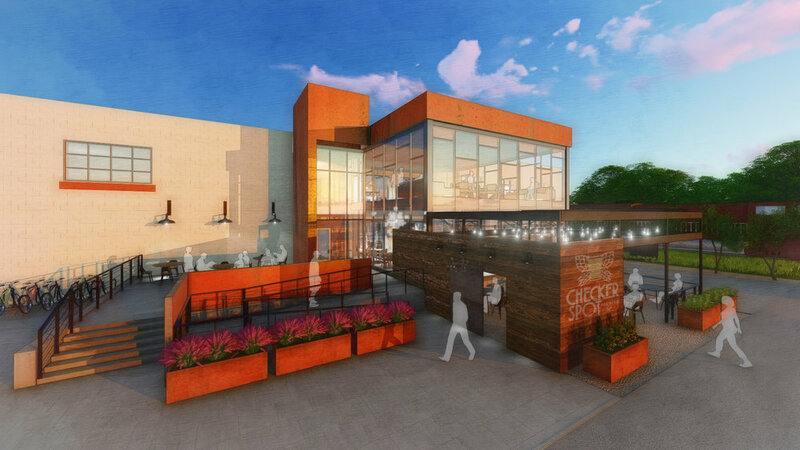 Properties are being transitioned by the principal developer in the area – Himmelrich Associates – who are transforming the area from an outdated industrial area into a mixture of businesses and entertainment options. One of the properties being revived is a warehouse distribution facility into new tenant office spaces. 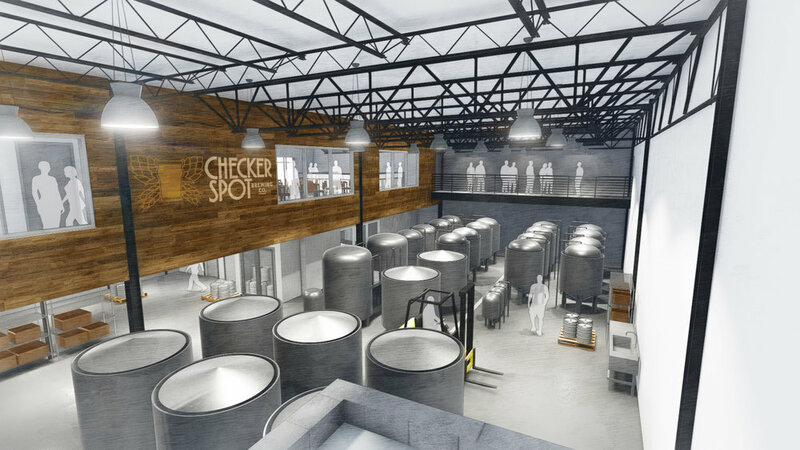 Needing food and drink options in the area, Himmelrich recruited Checkerspot Brewing Co into the area with a 10,000 square foot space that has a mezzanine. One condition in the agreement is food service – to be open for lunch for the local business community. So the space has a full service kitchen on the mezzanine. The warehouse spaces offered great height and visual access for an easy brewery design with a 15-tank system looking to produce 1,000 barrels annually. Positioning of the brewing operations focuses more on the opportunity to expand, with a clear area that will allow the operations to double in size. A small, two-story addition was added to the side of the building that directs public access. One enters into the Tasting Room with a clear view of the tanks inside the Brewery. Space is built in for merch sales and lounge seating – considerations put in place for fluctuations due to tailgating during Ravens games. The mezzanine level provides a second bar for a rental space that can be leased for events for up to 125 people. The space looks down over the brewing area so that the full operations area is visible.